Looking for how to root Infinix HOT S (X521), Infinix Mobility’s first lifestyle smartphone from the ‘HOT S’ series? You are in luck as you can now easily gain root access on Infinix Mobility first ever Infinix smartphone to spot a fingerprint scanner. The Infinix Hot S is powered by an MT6753 chipset and runs on Android 6.0 (Marshmallow). There are several important reasons to root Android devices. if you want to really unlock the full potential of HOT S —if you want to be able to control everything, backup everything, customize everything, and do all sorts of fun things like install custom ROMs and get Android Nougat ahead of the pack—you’ll need to root your Android smartphone. Maybe you have tried the latest version of KingRoot Apk to get root access but failed due to the unavailability of suitable root strategy. Fortunately, Team Hovatek have succeeded in porting the TWRP for Infinix Hot S X521 with full root access and in this tutorial, we will guide you on how to root Infinix Hot S X521 running Android 6.0 Marshmallow. After rooting your Infinix HOT S android phone, it’s advisable to unroot before performing an OTA update or restoring factoring settings. After downloading the TWRP recovery for Infinix Hot S above, unzip the TWRP zip file and flash the recovery image to the phone using SP Flash Tool. 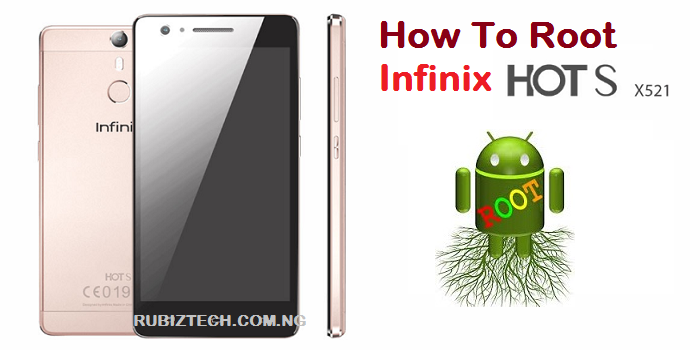 For how to flash (install) TWRP recovery for Infinix Hot S, Check out this link for the instruction.